First day of spring yesterday. Look at my backyard. It is almost ready for a vegetable garden. 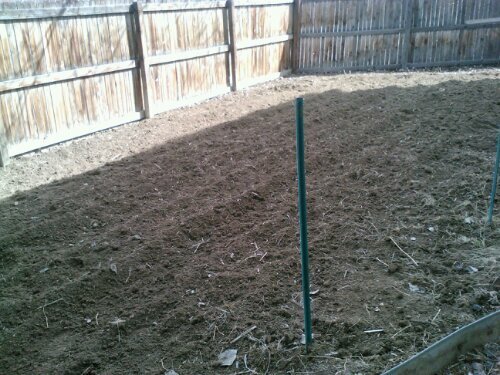 Here I plan to grow pesticide free corn, peppers, tomatoes, okra, eggplant, and peas. Oh, I may also plant melons, zucchini…I get ambitious. If I get to be successful, I’d be eating lots of anti-breast cancer foods. Maybe I can grow broccolli, leafy greens, and other stuff too. I wish.